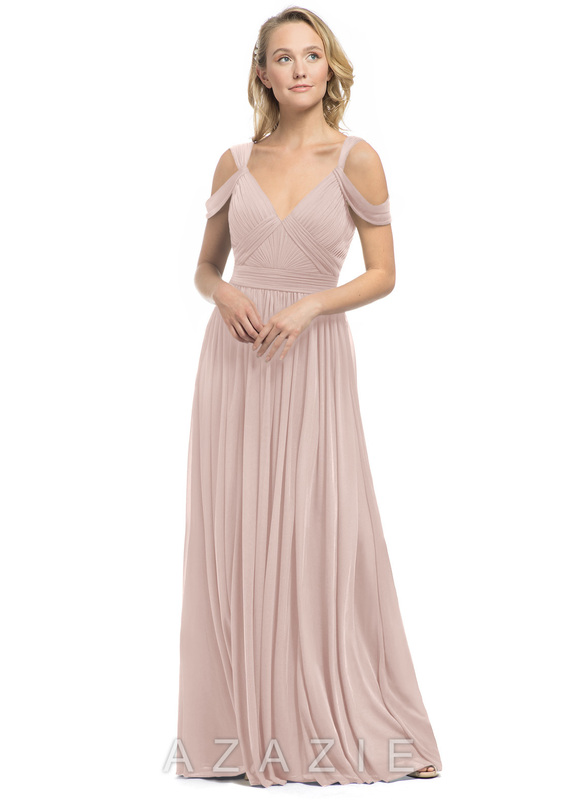 Calla is truly every bridesmaid’s dream. 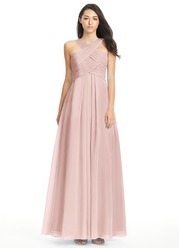 The structured gathered bodice flatters every body shape, and the cold shoulder straps give off an airy feel. 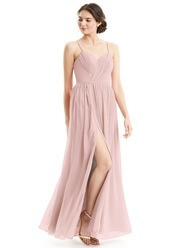 The full A-line skirt delicately finished off this dress. I'm a big girl, 5'11" and 240 lbs. My measurements are 46, 39, 52 and obviously pear shaped. I bought the size 20 thinking I might need to lose some weight to fit into it. I was wrong! I had almost two inches on each side of my waist but the bust fit great. The length was great and the dress is gorgeous!! I would recommend sizing down a little. Overall, I love it! The dress fits perfectly! I usually wear a 12 in jeans & I am a 38DDD & the dress fit me so well! 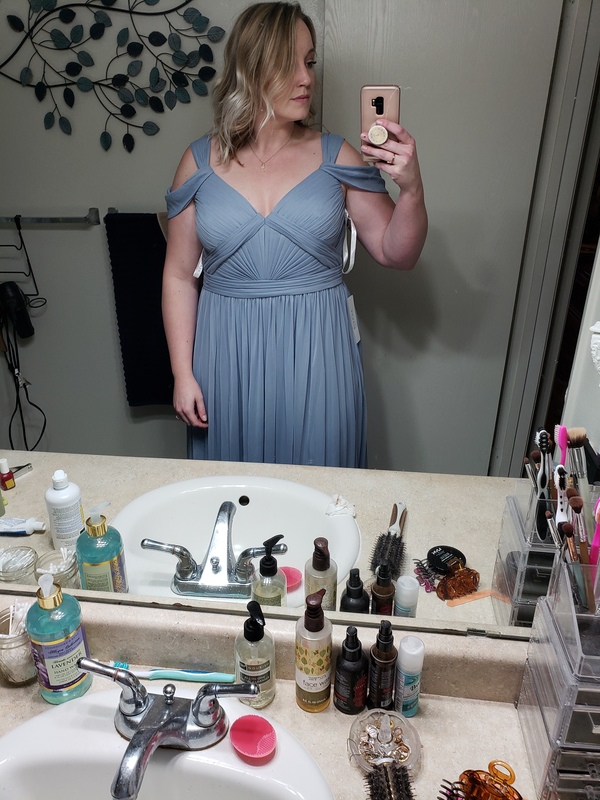 I spent all this time and energy watching videos on how to measure, asking to a friend to help, even missed a sale to make sure we did everything perfectly and then "custom" dress shows up too tight and WAYYY too long. I paid more than the other bridesmaids and I STILL have to pay for alternations now, something I was really trying to avoid. 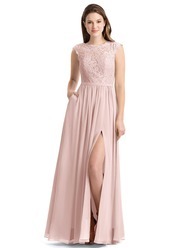 The gown is pretty otherwise, but don't bother with going through the trouble of ordering a "custom size"; order 1 size up and pay for altering vs what I have to do, starve myself then pay for it. This dress was perfect! I received so many compliments. The top fit like a dream and I was so pleased with the custom sizing. If i could do it over again, I would have bought my shoes before the dress to order the correct length. I added 3 inches for shoes but ended up hemming the dress (not cheap!). I ordered the sample of this dress to try on at home and absolutely loved it! 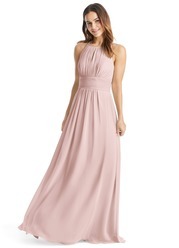 The fit is perfect, it's very flattering and the dress is very well made. It shows just enough cleavage where it still looks classy, and the arm detail is beautiful. 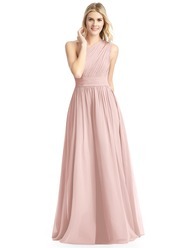 Definitely going to place an order for this dress! !